In case you haven't exhausted your Zinedine Zidane animated GIF quotient for the day, here's a compendium of some of our favorite ones; the Butterfinger one is still the best. And if you like your moving online stuff to be interactive, here's a game that allows you to collect Zidane red cards. Oh, and people are even coming up with conspiracy theories. 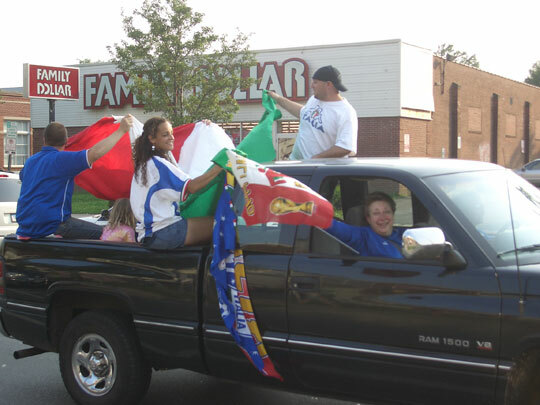 But remember, the World Cup is not about headbutts and angry Frenchmen; it's about crazy fans. 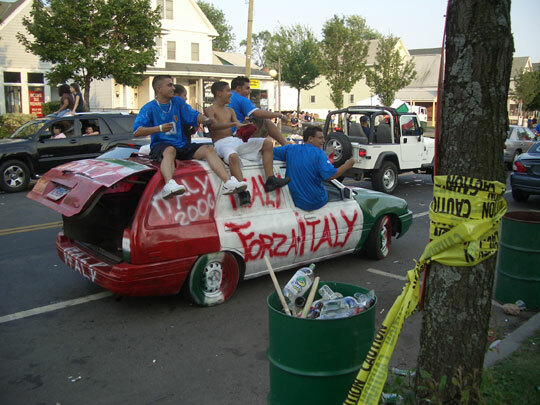 After the jump, here are some randomly collected Italy fans celebrating in the notorious Italian enclaves of Williamsburg, Brooklyn and Hartford, Conn., sent in by readers. If the Cardinals win the World Series this year, we're totally gonna be the lady in the fourth photo.